To say that Michael Vick and the Eagles were breathing a sigh of relief after their one-point win over Cleveland Sunday would be an understatement. 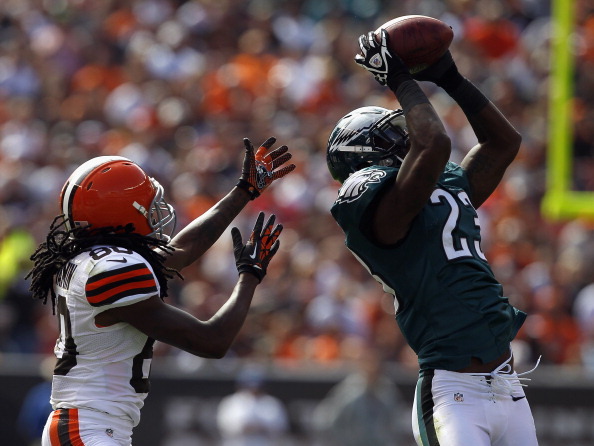 Vick was pretty bad, and the Eagles offense had really just one drive to speak of, but it was enough as Philly topped the Browns 17-16 to start the 2012 season. The Browns were in it all the way, leading 16-10 late Sunday, putting on a great performance against Vick and the Eagles offense. Their failure to finish came through, as they allowed Vick to lead the Eagles on a 16-play drive that covered 91 yards in 3:09 with a heartbreaking TD to tight end Clay Harbor. Safety Kurt Coleman picked off Browns rookie QB Brandon Weeden on the first play of the Browns next drive to seal the one-point win. Weeden got a taste of the NFL for the first time, and it didn’t go down so well. Weeden was held to a 5.1 QB rating, throwing 12-for-35 for 118 yards with no touchdowns and four picks in the loss. New Browns running back Trent Richardson ran for 39 yards on 19 carries, and Mohamed Massaquoi led the team with 41 yards on three catches.